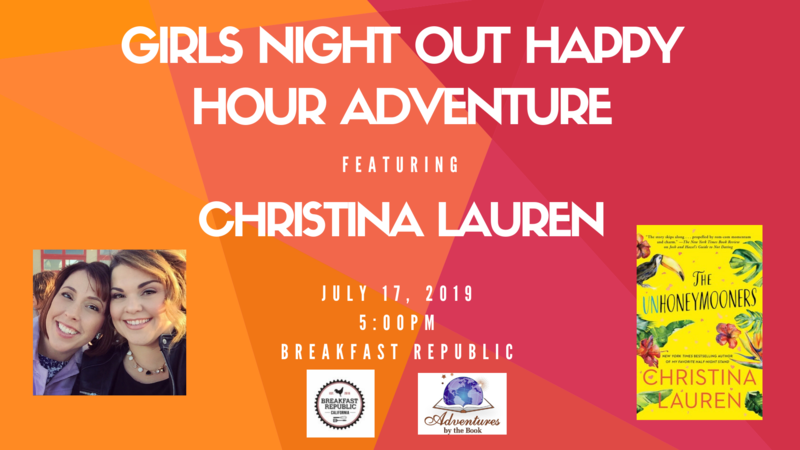 It’s time for another fabulously fun Girls’ Night Out Happy Hour Adventure with internationally-bestselling best-friend authors Christina and Lauren (writing together as Christina Lauren), as they introduce their newest novel, The Unhoneymooners. The dynamic duo will be in San Diego for ComicCon International, but they want to start the party with you a night early at one of San Diego’s hottest and trendiest restaurants, Breakfast Republic. 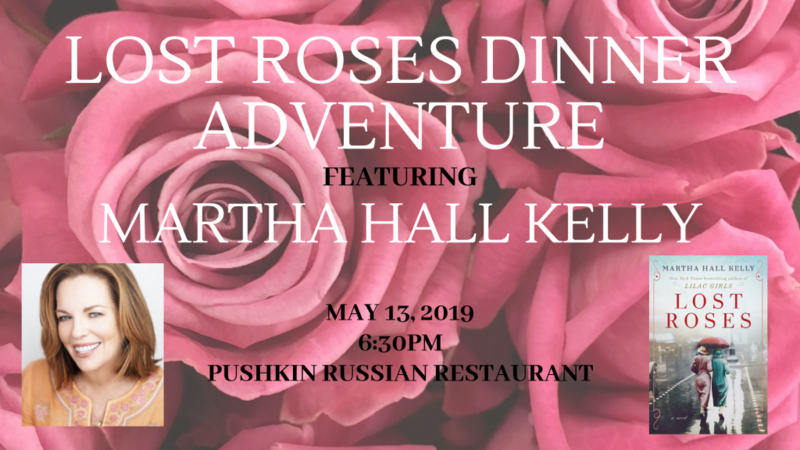 Join us for a fun night of signature cocktails and themed breakfast food (and why not since you ticket includes a $10 food voucher!) while we enjoy a fun and engaging discussion with both Christina and Lauren for their fun, witty, and swoon-worthy romance, which is about how anything can happen during the Hawaiian trip of a lifetime… even for two sworn enemies. 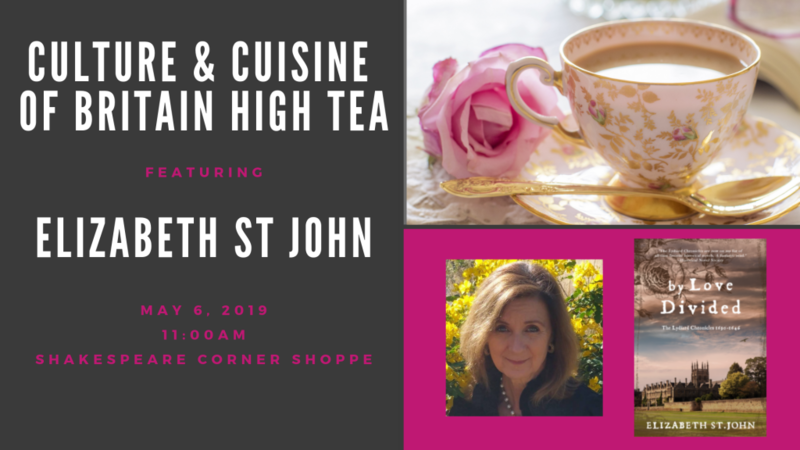 Your registration includes a signed copy of The Unhoneymooners, a $10 food voucher (tax and gratuity not included), event admission, and the opportunity to meet both Christina and Lauren in a fun and festive setting. 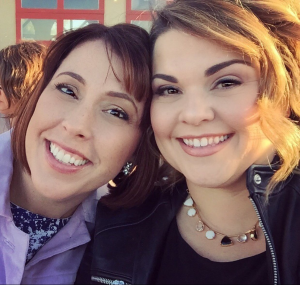 Christina Lauren is the combined pen name of long-time writing partners and best friends Christina Hobbs and Lauren Billings. 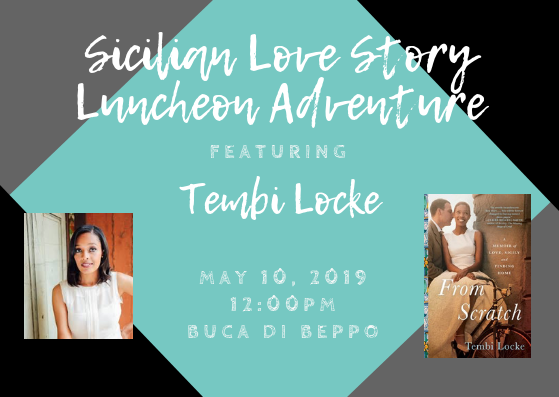 The #1 international bestselling co-author duo writes both Young Adult and Adult Fiction, and together has produced fourteen New York Times bestselling novels. They are published in over 30 languages, have received starred reviews from Kirkus Reviews, Library Journal and Publishers Weekly, won both the Seal of Excellence and Book of the Year from RT Magazine, named Amazon and Audible Romance of the Year, a Lambda Literary Award finalist and been nominated for several Goodreads Choice Awards. Christina and Lauren have been featured in publications such as Forbes, The Washington Post, Time, Entertainment Weekly, People, O Magazine and more. Their third YA novel, Autoboyography was released in 2017 to critical acclaim, followed by Roomies, Love and Other Words, Josh and Hazel’s Guide to Not Dating, and the Publisher’s Weekly starred My Favorite Half-Night Stand, out in December. Lauren Billings (but everyone calls her Lo) has a Ph.D. in neuroscience. Before she made writing her full-time job, she spent her days doing nerdy research-type things and wearing a lab coat and goggles. She is silly Mommy to two littles, wife to one mountain-biking home-brewing scientist, and an unabashed lover of YA and romance. 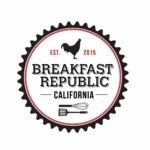 With locations in North Park, Liberty Station, Encinitas, East Village, Ocean Beach, Carmel Valley, Pacific Beach, and coming soon to Orange County, Breakfast Republic is raising feathers in San Diego as a top spot to enjoy the most important meal of the day. 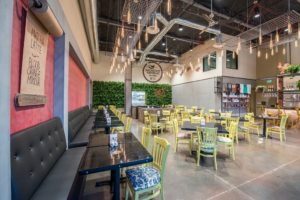 Serving tasty takes on American classics such as Oreo Pancakes, Shrimp & Grits and S’mores French Toast, BR is an innovative breakfast destination that locals and visitors will flock to when they are in search of a fun and unpretentious place to begin the day. Raising the “bar” is BR’s rotating list of 20 beers on tap, which are available as samplers to complement many of the unique dishes they serve.